It's no secret that there are a lot of social media marketing services out there. The sheer number of platforms and things you can do with each can be incredibly overwhelming! And you've probably heard of one of the hottest apps and social media platforms right now: Snapchat. There's been a lot of argument in the past couple of years about whether Snapchat is a valuable marketing tool for businesses or if brands shouldn't waste their time with it at all. I'm here to tell you that I think Snapchat, when used correctly of course, is a great marketing tool and that, as long as it makes sense for your brand, it can be incredibly valuable to your company. 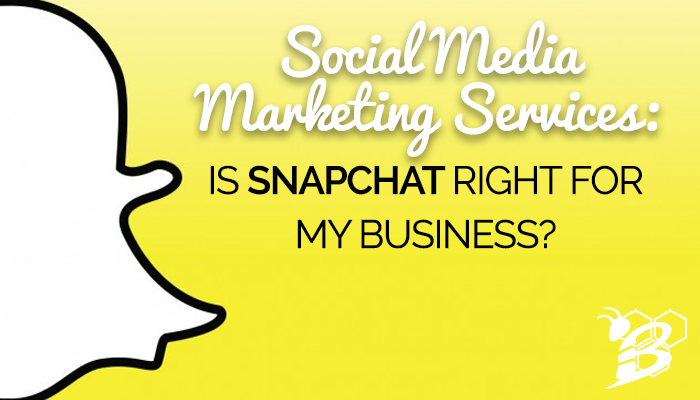 So stop asking "is Snapchat right for my business?" and let me show you why it just might be!